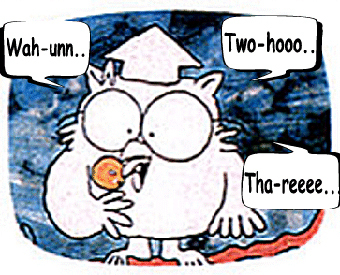 How Many Rejections Does It Take To Get to the Toostie-Roll Center of the Publishing World? Just how long does it take to get published? How long until your dream of publication becomes a reality? We know that the journey varies for each of us. My friend, Vicky Lorencen (check out her Frog on a Dime blog), posted the question: how many rejections did you receive until you landed your agent? Well, since I've had four agents (yes, FOUR), I thought I would address the question with complete transparency. When I got the offer from Barbara Markowitz back in May of 2010, my Finding Home book (middle grade fiction) had already accumulated over 60 rejections (both agents and editors). That same month I landed Marissa Walsh for my second novel, 200 Dares. That novel only had received six rejections (from agents only). I chose Marissa over Barbara (it was a very hard decision; both women are delightful). Marissa and I received a total of eleven rejections from editors. We then started working on Falling Too Deep (young adult fiction). She left the business (which broke my heart), and I was passed off to Rachel Coyne (like Marissa, also of Fineprint Literary). We received nine rejections for Falling Too Deep before she left the business to spend time with her family. That left me at square one. With A LOT of rejections. The key is that I kept writing. I kept writing books. I started querying like a madwoman, but even though I was receiving a lot of bites for these books, no one was willing to take that chance. Total number of rejections until Carrie Pestritto came along and signed me on now totaled around 150. I started to get smart and started talking to all my contacts. Yes, my wonderful friends who are also authors helped me out. And their agents were fabulous. How I landed the lovely Ms. Pestritto is because my author friend, Kristen Lenz, thought we'd be a great fit. And she was right. I still haven't got to that Tootsie-Roll Center of the Publishing World, but hey, I might as well enjoy it until I get there. Just how long does it take to hit the jackpot of your dream?